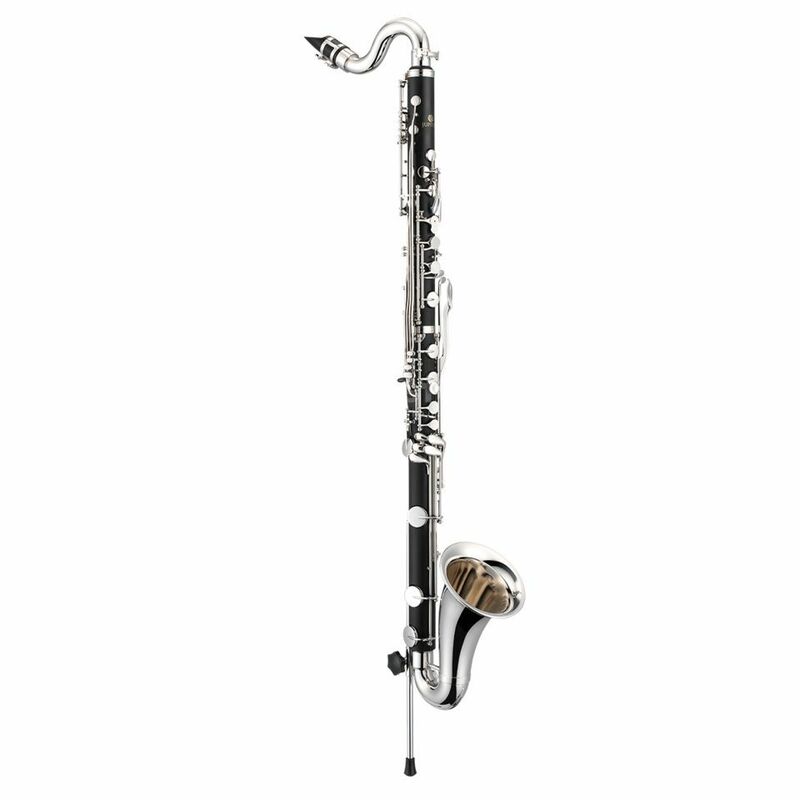 The Jupiter JCL-675N Bb bass clarinet has a two piece ABS resin body design. The ABS resin is robust material that has similar tonal qualities to wood but benefits from not suffering adverse effects from temperature and humidity. The JCL-675N Bb bass clarinet has a low E key on the body of the instrument, an improvement to models with the low E key on the bell. The instruments undercut tone holes result in accurate intonation and easy playability. An adjustable floor peg provides comfort for all height preferences. The Jupiter JCL-675N Bb bass clarinet is supplied with a multi-section wood frame case with plush interior.